The Pro Spot weights only 18 lbs for easy portable use. 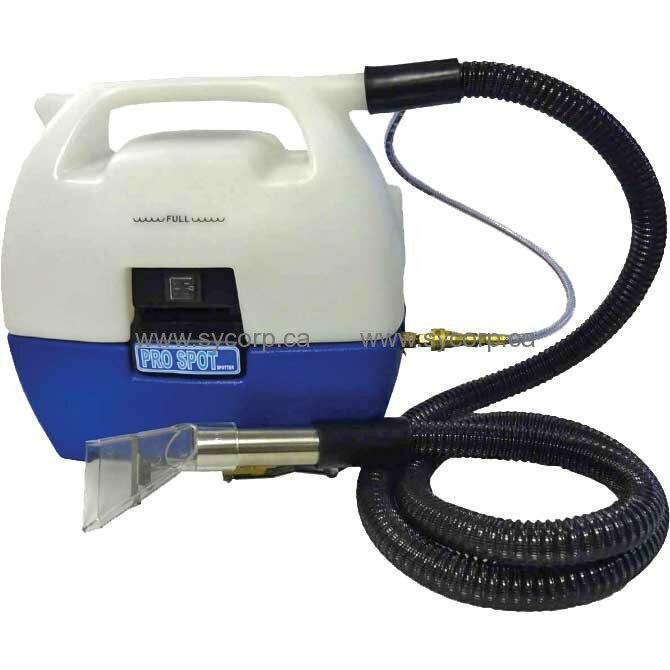 The convenient 2 gallon recovery tank capacity and well balanced design provide quick and easy cleaning of carpet spots and stains. 1.16 HP vacuum motor with a vacuum float shut-off and a 55 PSI pump provides aggressive cleaning and drying power.